Concurso Internacional de Arquitetura para a construção de mil escolas rurais em dez países da savana tropical africana: Burkina Faso, Chade, Etiópia, Níger, Quênia, República Centro-Africana, Senegal, Somália, Sudão e Uganda. 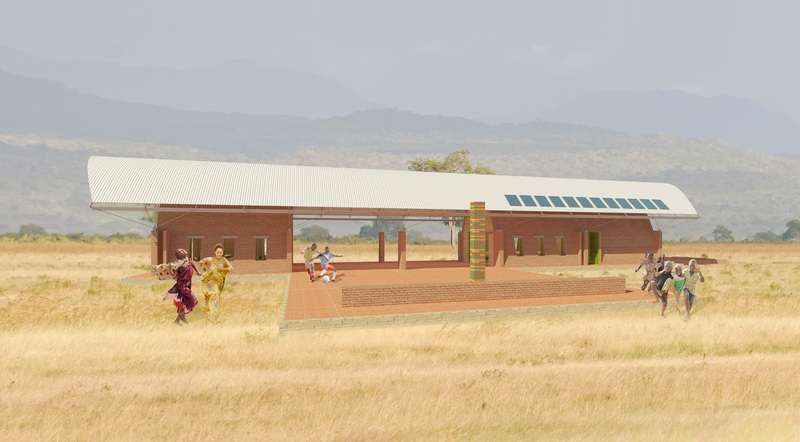 We understand the chance to build a thousand schools in the African tropical savanna as an opportunity to trigger a development process with a potential of human growth, which surpasses the project itself, decisively changing the lives of whole populations, propitiating a transformation towards their emancipation and independence. Sustainability, the fundamental ethical principle of the twenty-first-century, is based on three main pillars: environmental, economic and socially responsible development. They are mutually dependent which means that there’s no sustainable development unless we reach a balance between these dimensions. Social development is directly related to educational investment, therefore we understand the KYM Field Schools as representative of this ideal, not only through its built form, but also through its concept, its outcome and the promotion of full citizenship to the people of these African countries. 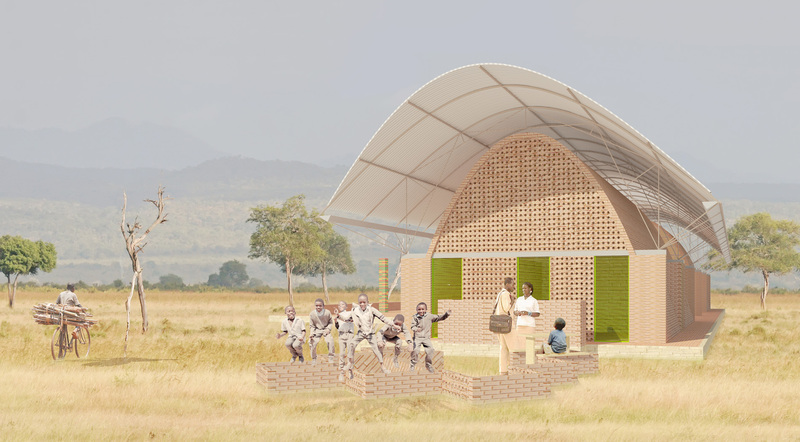 Considering the meaning of Teavun, “to help one another”, our strategy, in face of the proposed challenge, is to offer an open solution construction system, which fulfils the needs of building each one of the schools, but also provides each location with tools and abilities for further use of its people, by its own means. Based on low-tech building processes, properly suited to the foreseen remoteness of the chosen locations, we propose the use of mainly local natural materials and unskilled manpower, with minimum use of indispensable industrialised items, in order to keep costs low and to ease the management of transportation and construction needs. Each community will receive its own compressed earth block machine, which afterwards will be kept by the school, and local artisans will be trained in new techniques, to have the necessary skills to operate it. 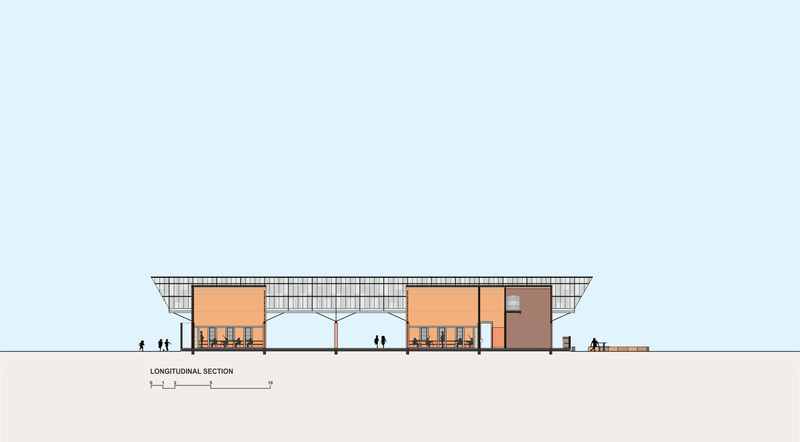 Thus in the future, they will be able to either expand the school or build other facilities, according to their particular needs, ensuring that building methods will stay within the community and also giving them new life opportunities. The African tropical savanna is rich in natural resources, with abundant raw material at hand for the bricks production. The required amount of each material in the mix varies according to their properties, with the following proportions: clay 60-70%; sand 20-30%; cement 8- 12%. The adding of cement ensures higher resistance against humidity and better compression strength. Its production is very efficient: two men can produce up to 3,000 bricks per day. There is no need of burning them, characterizing the process as simple, fast and non-polluting. These earth blocks form the building’s vaulted structure, concluding main walls and roof at the same time, as one single minimal gesture, avoiding the need of other different construction parts and complex connections. Bricks are simply laid with mortar made by the same materials, with the aid of a wooden frame serving as guide, and they are perforated, allowing built-in technical installations. The building sits upon a compacted stone foundation for protection against groundwater, also paved with bricks. Doors and windows are made of adjustable metal louvres for permanent ventilation, and higher openings are protected by light closing panels made of local materials, such as wood, bamboo or straw. Because these bricks are not fired, they are protected by a hovering metal roof that not only safeguard the soil-cement vault from tropical rain, but also shades this structure so to avoid excess heat from direct solar radiation. Thus, thermal comfort can be achieved by a combination of bioclimatic strategies that rely on proper use of building materials and permanent natural ventilation, provided mainly by cross and stack ventilation. The project also allows for the use of natural sunlight through the positioning of openings strategically located on the blackboard sides and windows at opposite facades for better sunlight distribution. The whole construction is organised after a modular system to facilitate the production and assembling of its different components, as well as eventual future extensions. Technical installations are limited to the essentials, so student’s male and female restrooms and the teachers’ bathroom are concentrated at the same block. 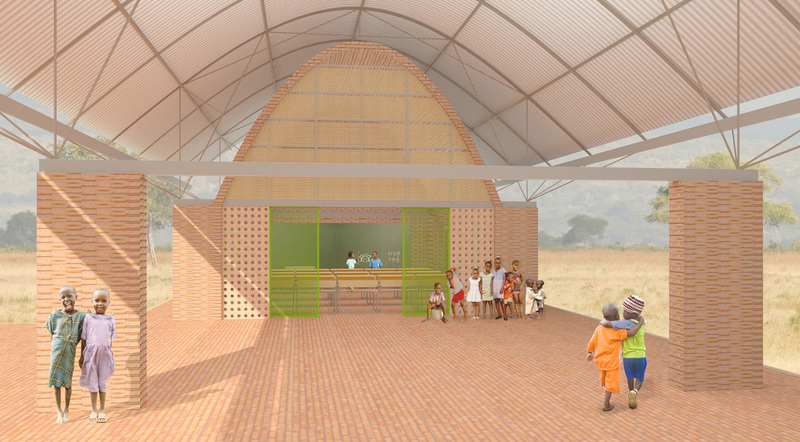 The roof is provided by gutters, connected to a clean water system, which also allows the reuse of grey water. The building orientation has been developed to benefit from the natural daylighting, though being protected from excessive heat. The countries included in the program are located within the latitude range of zero degrees and 17N, for example Kenya and Niger, respectively. As the climatic conditions of the schools change according to their location towards north, sun protection should be increased, especially at south facades, by prolonging the metal roof pane. All areas of long permanence are properly protected from direct sunlight. The teachers’ lodge opens to the east, benefiting from the early morning light and cooled down by the end of the day. 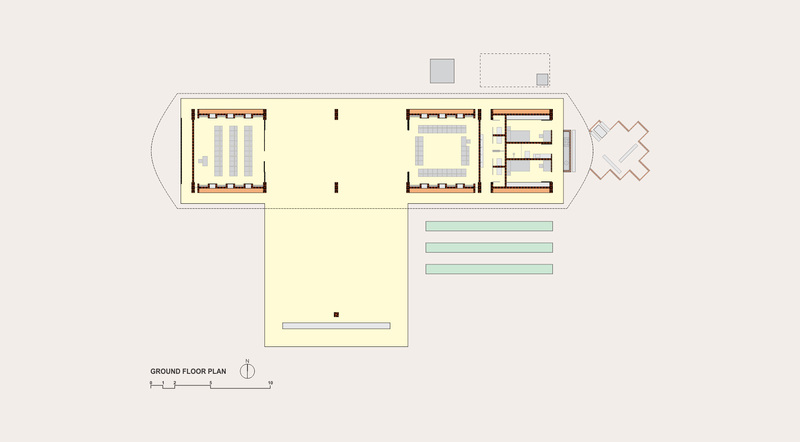 The southern and northern façades, where the smaller classroom openings are located, are well shadowed. The blind wall’s top part to the west is made of bull header blocks for permanent cross ventilation to dissipate the afternoon heat, ensuring better thermal comfort. 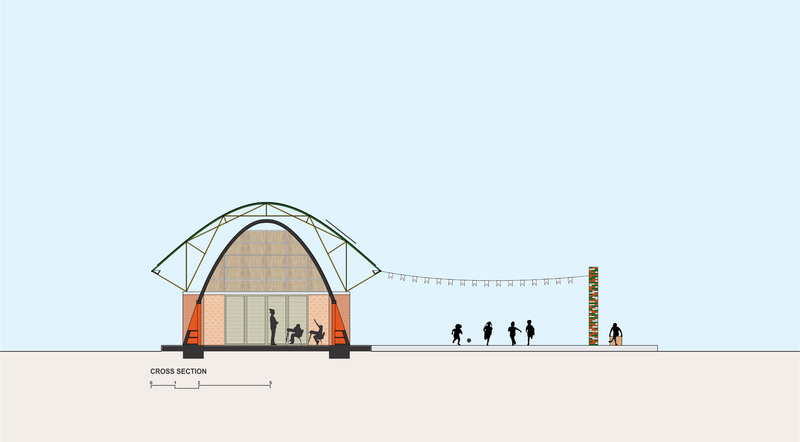 Our proposal seeks to encourage collectivity and sociability, therefore the main access to the school is from a public square, marked by a colourful totem and a bench, as a generous and welcoming public square. With the same brick paving, it becomes a central court, to where classrooms open to, as their natural extension. The whole created space can be used as one. 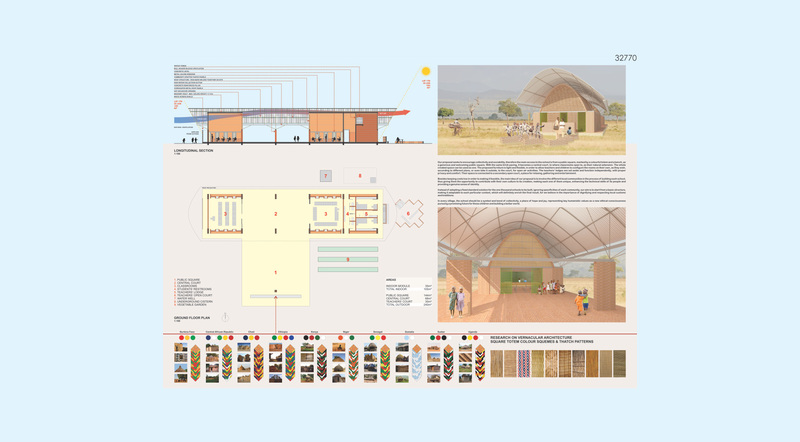 The proposed furniture is light and flexible, in order to allow teachers and children to configure the rooms on their own, as they wish, according to different plans, or even take it outside, to the court, for open air activities. The teachers’ lodges are set aside and function independently, with proper privacy and comfort. Their space is connected to a secondary open court, a place for relaxing, gathering and entertainment. 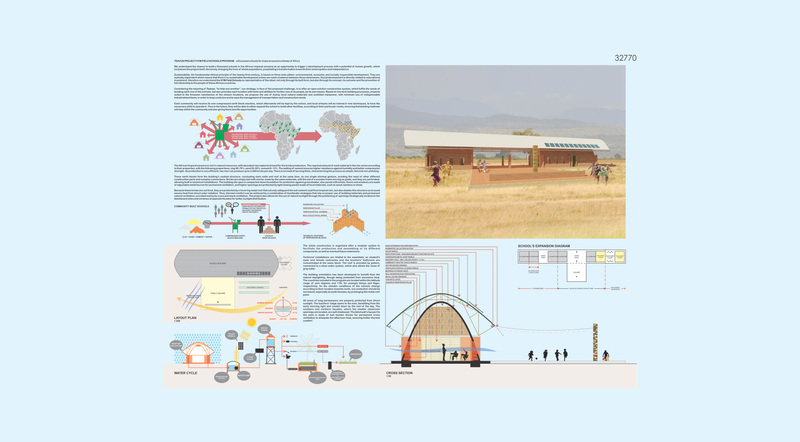 Besides keeping costs low in order to making it feasible, the main idea of our proposal is to involve the different local communities in the process of building each school, thus giving them the opportunity to contribute with their own culture to its creation, making each one of them unique, enhancing the technical skills of its people and providing a genuine sense of identity. Instead of adopting a fixed standard solution for the one thousand schools to be built, ignoring specificities of each community, our aim is to start from a basic structure, making it adaptable to each particular context, which will definitely enrich the final result, for we believe in the importance of dignifying and respecting local customs and traditions. In every village, the school should be a symbol and bond of collectivity, a place of hope and joy, representing key humanistic values as a new ethical consciousness pursuing a promising future for these children and building a better world.